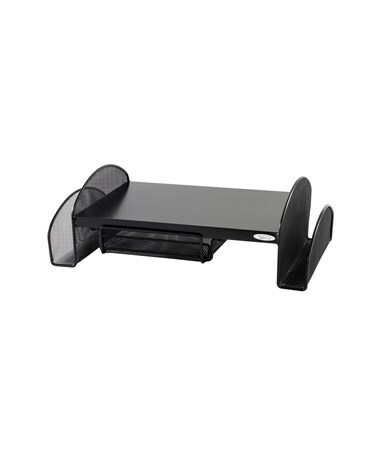 The Safco Onyx Mesh Monitor Stand is a stylish and functional addition to a computer work setup that raises the monitor to four inches for ergonomic positioning. 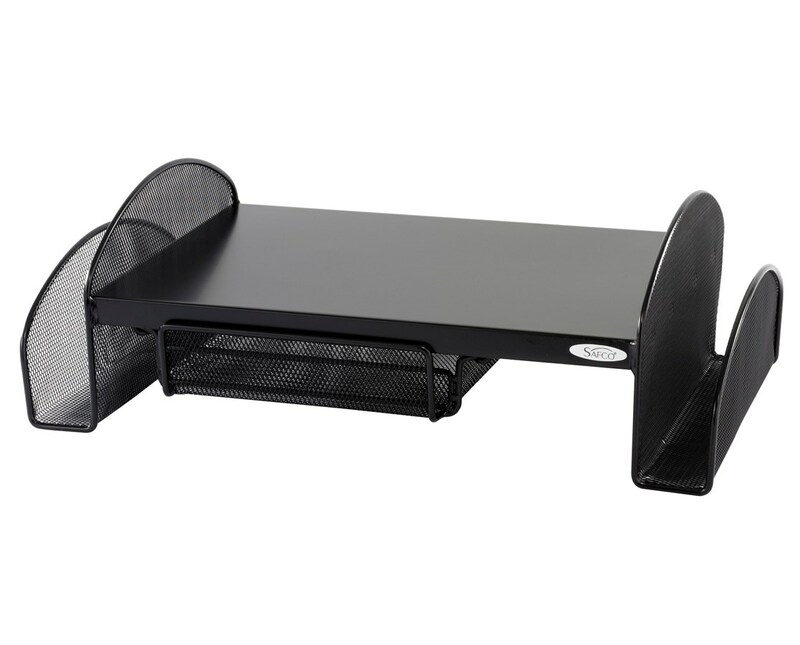 It can hold any monitor with its weight capacity of 75 lbs. 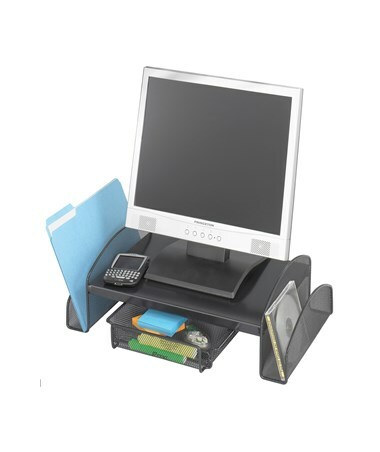 The two side compartments and the 8¾-inch wide sliding and pullout drawer to help organize documents and other items. This stand is made of steel mesh with a powder coat finish and is GREENGUARD certified for low chemical emission.